If the map is accurate, the last part of the game may take place in West Elizabeth. Given that Dutch is around 10-15 years younger, this would be the time period the Blackwater massacre happened. The red dead wiki also claimed most of the story was covered up by the police, so Morgan could easily have been involved in that shootout. I don't think they're gonna have ANOTHER game where the protagonist dies at the end, but you never know. it sounds like he is. it would be so cool if he had family that fought in the civil war. a lot of families moved out west after the war. especially confederates. maybe he can have a confederate uniform that was father gave him. or something like that. that would be awesome! He is definitely trying to be a southerner, but his accent sounds so fake, and forced. I like the character so far, just not that horrendous accent. 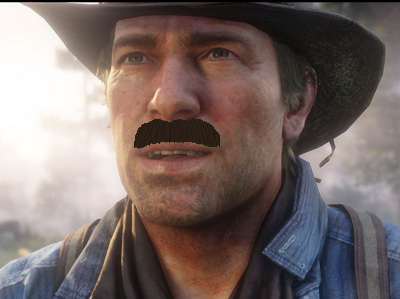 This protagonist looks interesting, not as much as Marston but he set a pretty high bar. Its definitely refreshing that he just wants to rob people and is loyal to outlaws. Things we know about Morgan at this point: He's an outlaw who is loyal to his gang, ruthless, and trustworthy. We don't yet know if he's morally conflicted with all that he's doing, but...when he says "this place...ain't no such thing as civilized..." He justifies his dastardly actions by thinking of it as his only way to survive. I think they've only revealed Mr. Morgan's character traits from early on in the game, and his character will take on much more depth as the story unfolds. We know Marston's entire story at this point, and essentially none of Morgan's, so to compare the two's likability at this point is unfair and foolish. That's not Morgan who said it, it was Dutch. how old do you think Arthur is, if you had to guess? Has anyone zoomed in on his belt buckle? It looks like it might be in the shape of a flag. He seems like a right c*nt, which I like. Means I won't have to feel as guilty about tying NPCs to train tracks. Anyone else see a slight resemblance to Dominic West? And a tailor cuz he needs to get rid of that fancy little scarf thing. its pretty terrible, it sounds like a normal guy trying to speak with creole accent. This is getting a bit too brokeback mountain to me... Hey you know what? Now I hope he's gay, he looks fancy enough that's for sure! He looks like a young Drew Macfarlane there. I'm intrigued. Can't wait to learn more about the protag. 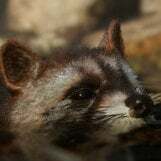 Let's just hope there really is a lot of character customization in storymode, because that really lacked in RDR.